News Review, Comment and WIN! 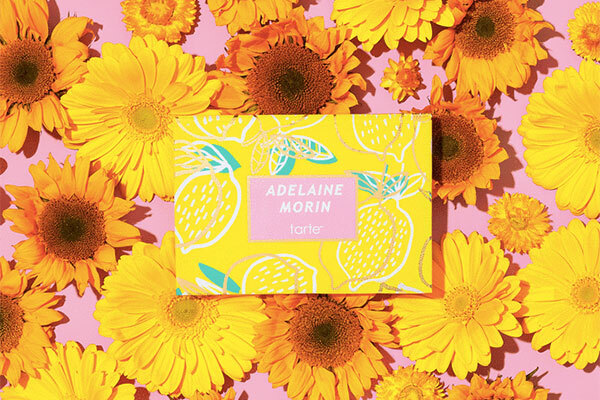 Niche beauty brand tarte, known for its high performance naturals, has teamed up with Youtube star Adelaine Morin to create a limited edition summer eye and cheek palette. 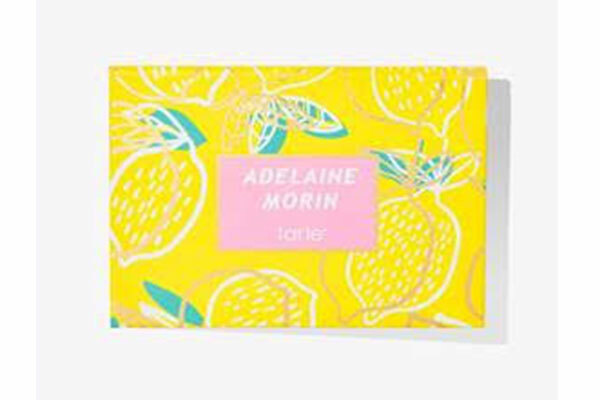 Inside the lemon-print packaging, you’ll find 9 eyeshadows, a blush and a highlighter – each shade chosen to flatter all skin tones. Each formula is infused with Amazonian Clay for maximum payoff and wear. The products were formulated without parabens, mineral oil, phthalates, triclosan, sodium lauryl sulfate or gluten. 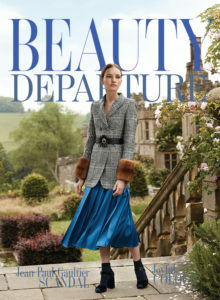 THE GIVEAWAY: I’m giving away one of this limited edition palettes to one lucky reader. 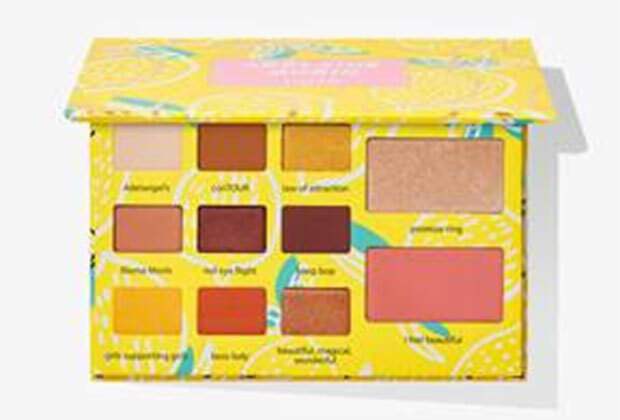 To enter, tell me in a blog post comment below how you’d rate this palette on a scale of 1 to 10. Does having a a celebrity youtuber influence your purchases or do you buy based on the colours in a palette? I’ll draw one name at random from all those who comment below on April 24th. 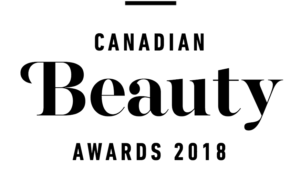 If you have a Twitter name, please include it in your blog post comment as it is the fastest way for me to contact winners. Wishing everyone luck! 10/10 love the orangey shades, Youtubers definitely influence the cosmetics I buy. I would give it a 10/10 because of lack of parabens, fthalates etc. I rate this gorgeous palette a 10, it has everything I need all in one beautiful package. 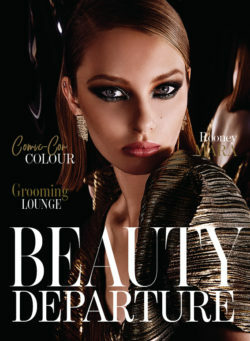 When purchasing I am always interested in colours and how they will enhance my beauty! A 10. I love the colors. And I buy based off colors I like not YouTube influence. But I do look up pallets I’m interested in on YouTube first. Love these colours. Definitely a 10 out of 10 ???? Great colours 9/10 I buy based on the colours in a palette. 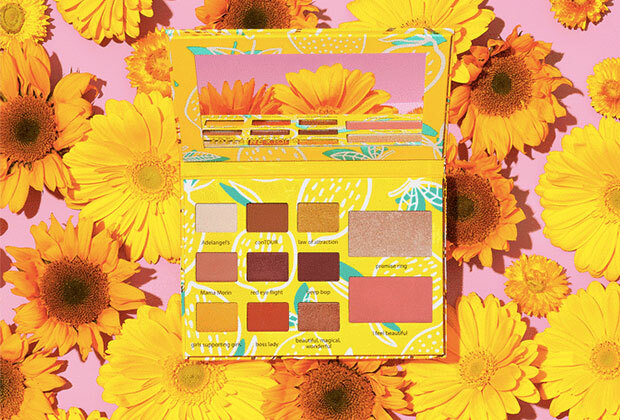 10/10 for the gorgeous summer colours in this palette! I chose based upon the palette rather than who’s marketing it! I will give it a big 10 !! !